EBAS owner, Steve Kalmar (Rocket Man), combines the knowledge and expertise of four people into one. He is an ex-Hungarian Air Force Fighter Pilot, fighter jet Instructor, Test Pilot, A & P Mechanic AND Aeronautical Engineer. With 25 years experience specializing in Eastern Bloc Aircraft, no other single individual in the US is qualified to import, inspect, test fly, repair, and/or rebuild your eastern bloc aircraft from tip to tail. Steve’s multiple talents translate into speed and economy for jet owners or buyers. If you’re looking to purchase one or a dozen Jet warbirds, Steve has the connections to find the best planes at the best prices. Qualified to instruct in many Eastern Bloc aircraft, Steve will provide the best training for those seeking a jet type-rating. A graduate of the Russian test pilot school Zhukovsky in Moscow, Steve was trained on the famous MIG-29 Fulcrum by the best Top Gun Instructor, Alexander Garnaev. 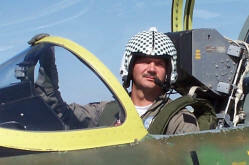 As an instructor, Steve trained Eastern Bloc Fighter Pilots in the Hungarian Air Force. Since then he’s also trained former US Fighter Pilots as well as many civilian pilots who now act as pilot in command of their personal fighter and trainer jets. He’s type rated to fly and train in the following jet aircraft: L-29 Delfin, L-39 Albatross, MiG 15, MiG 17, MiG 21 and MiG 29. 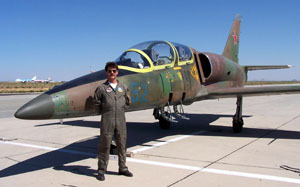 With 20 years as an A & P mechanic and aeronautical engineer, his specialty is Russian and Eastern European fighter jets and he’s considered by many to be the best in the business. side. Transient parking for Fly-Ins is located in front of the control tower. 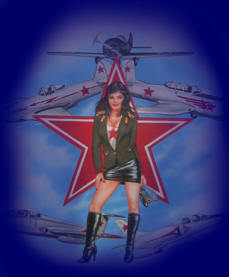 California - The Air Museum Planes of Fame and The Yanks Air Museum. P-51 Mustang. It truly is a Warbird Paradise.